The Columbus Small Animal Hospital features an intensive care unit for animals that require this increased level of attention. Also, the hospital features an isolation unit for dealing with infectious diseases. 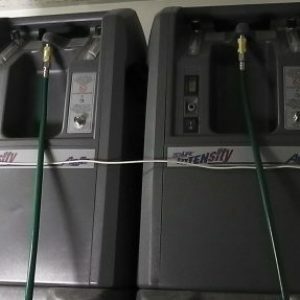 Our intensive care unit uses the latest technology, including these oxygen concentrators, so that patients have every advantage. 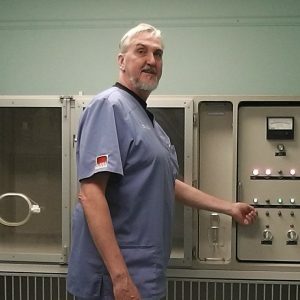 Jim Kramer, DVM, in our intensive care unit.